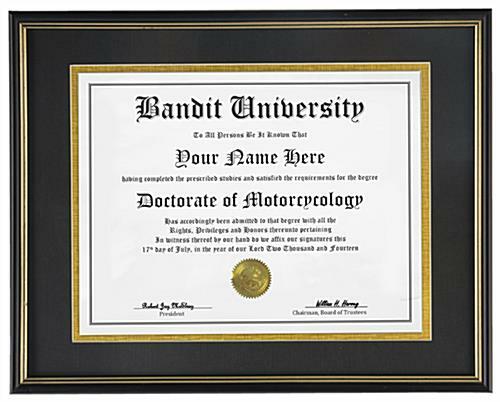 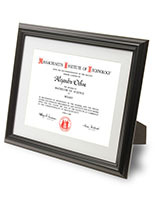 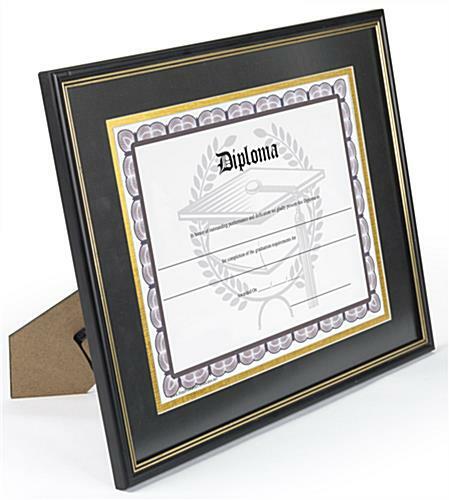 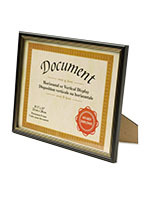 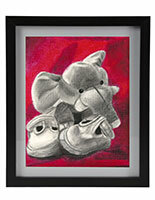 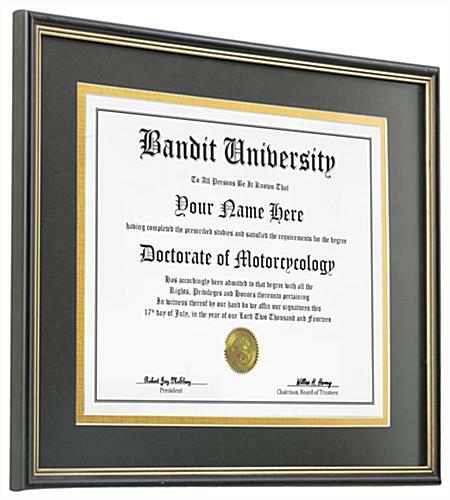 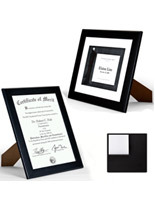 These double matted diploma frames are made to display your certifcate or degree. 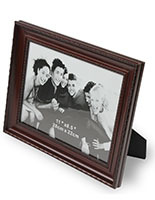 Each holder accommodates one 8.5" x 11" piece of paper or photo. 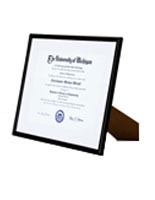 The black frames come with an easel backing for stable use on tables, desks or counters. 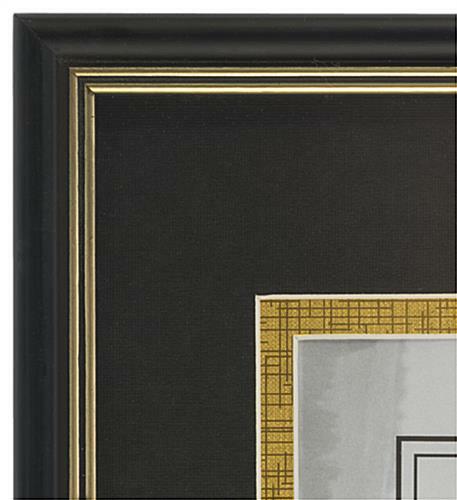 In addition to the easel stand, the hodlers can be hung on the wall. 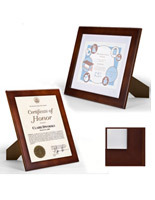 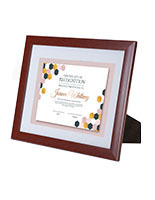 Each frame comes with elegant gold trim to perfectly showcase your graduate's accomplishments! 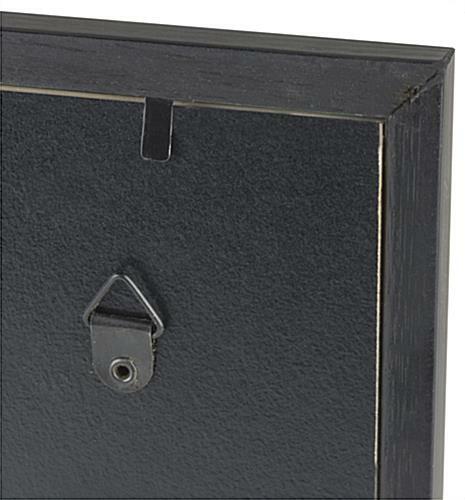 14.8" x 14.5" x 0.5"
8.5" x 11", 11" x 14"